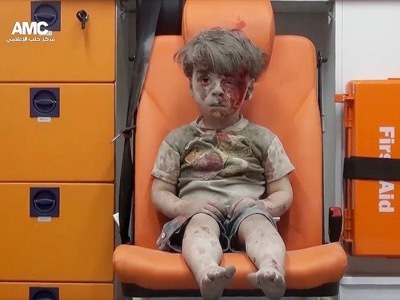 All of us are painfully aware of the current situation in Syria, especially in and around Aleppo. For over 5 years a civil war has raged, a war which has claimed at least 470,000 lives. The real number is likely much, much higher, and will probably never fully be known. Millions of internally displaced persons are scattered across Syria, and millions more have fled the country. A full 1/3rd of neighboring Jordan’s population are now refugees. 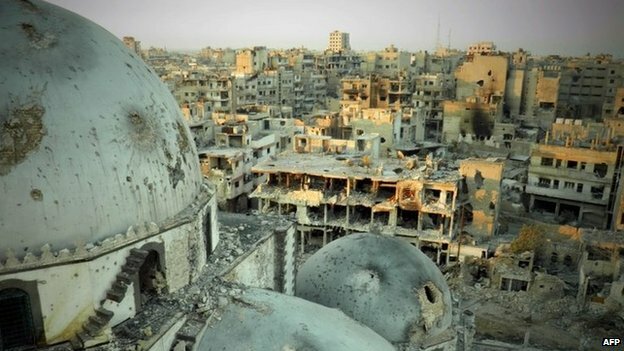 The power vacuum in Syria allowed for the spread of the Islamic State of Iraq and al-Sham (ISIS/ISIL/IS/Daesh), which threatens both regional and global security. 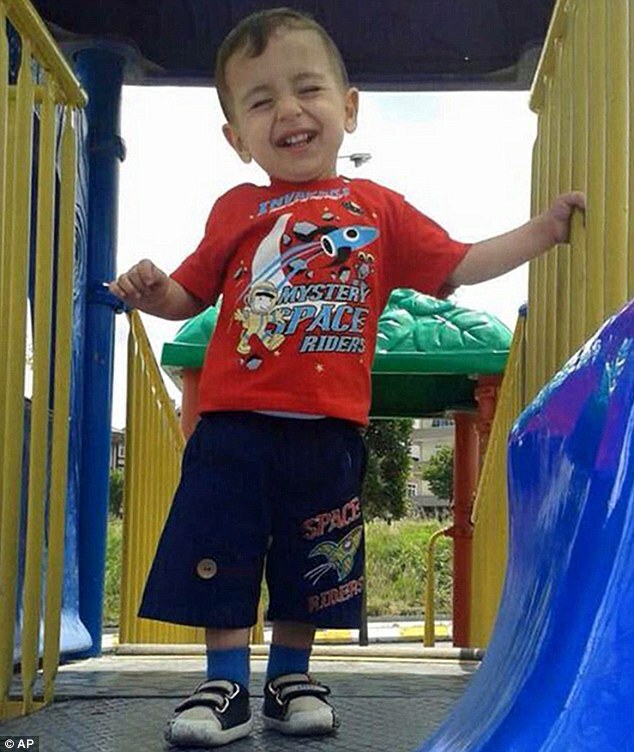 For every Omran Daqneesh or Alan Kurdi we see in the West, hundreds more go unseen and unreported. Children in Syria are bearing the brunt of the violence, with schools now being deliberately targeted by regime forces and their Russian allies. 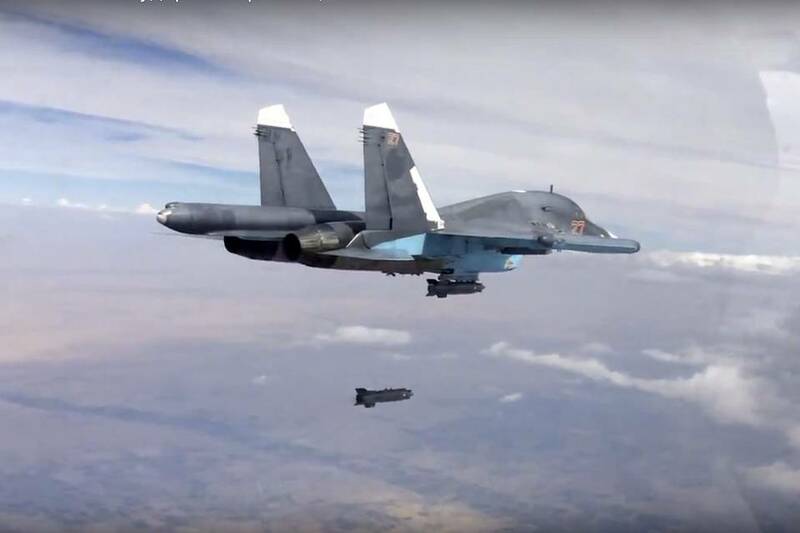 Just this past week, over 23 children and 6 teachers were killed in an airstrike which was carried out either by the Syrian Arab Air Force (SyAAF) or the Russian Aerospace Force (RuAF). In response, at least 6 children in west Aleppo were killed by a rebel bombardment. And these tactics are in no way new or revolutionary to the Syrian civil war. As the war continues, the likelihood that radical Islamist factions eventually take power increases. On the 28th of October (2016), the opposition operations room known as Jaysh al-Fatah (Army of Conquest), along with select members of Fatah Haleb (Aleppo Conquest), launched an offensive to break the government siege of east Aleppo. Groups such as Ajnad al-Sham, Ahrar al-Sham, harakat Nour al-Din al-Zenki, and the “former” al Qaeda affiliate Jabhat Fatah al-Sham (previously known as Jabhat al-Nusra) have been leading the charge, indicating that the real strength on the ground currently lies with radical elements. This is due in no small part to repeated RuAF/SyAAF bombardments of rebel factions, both more moderate groups and extremist groups. In order to defeat Daesh, one of the underlying causes of their rise must first be resolved. That cause, of course, is the Syrian civil war. But, with Russia directly involved in the conflict, and with Russia also holding a veto at the United Nations Security Council (UNSC), UN action on Syria is all but impossible. 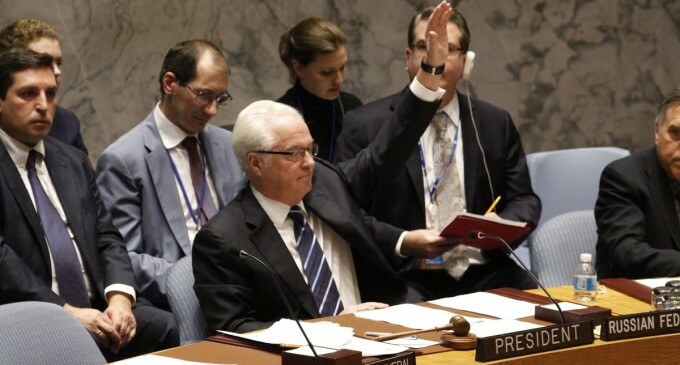 However, the last UNSC resolution on Syria, decided on 8 October 2016, was approved by 12 members of the UNSC, with 1 abstention (China) and two no-votes (Russia and Angola). This means that only Russia stands in the way of meaningful progress in Syria. The resolution had been supported by Andorra, Australia, Austria, Belgium, Bulgaria, Canada, Costa Rica, Croatia, Cyprus, Czech Republic, Denmark, Estonia, Finland, France, Georgia, Germany, Greece, Hungary, Iceland, Ireland, Italy, Latvia, Lithuania, Luxembourg, Malta, Mexico, Monaco, Morocco, Netherlands, Norway, Poland, Portugal, Qatar, Romania, San Marino, Saudi Arabia, Senegal, Slovakia, Slovenia, Spain, Sweden, Turkey, Ukraine, United Arab Emirates, United Kingdom of Great Britain and Northern Ireland and the United States of America, representing a wide swath of different nations around the world all seeking to establish the same principles of international law. The international community, through the United Nations, also has the responsibility to use appropriate diplomatic, humanitarian and other peaceful means, in accordance with Chapters VI and VIII of the Charter, to help to protect populations from genocide, war crimes, ethnic cleansing and crimes against humanity. In this context, we are prepared to take collective action, in a timely and decisive manner, through the Security Council, in accordance with the Charter, including Chapter VII, on a case-by-case basis and in cooperation with relevant regional organizations as appropriate, should peaceful means be inadequate and national authorities are manifestly failing to protect their populations from genocide, war crimes, ethnic cleansing and crimes against humanity. We stress the need for the General Assembly to continue consideration of the responsibility to protect populations from genocide, war crimes, ethnic cleansing and crimes against humanity and its implications, bearing in mind the principles of the Charter and international law. We also intend to commit ourselves, as necessary and appropriate, to helping States build capacity to protect their populations from genocide, war crimes, ethnic cleansing and crimes against humanity and to assisting those which are under stress before crises and conflicts break out. 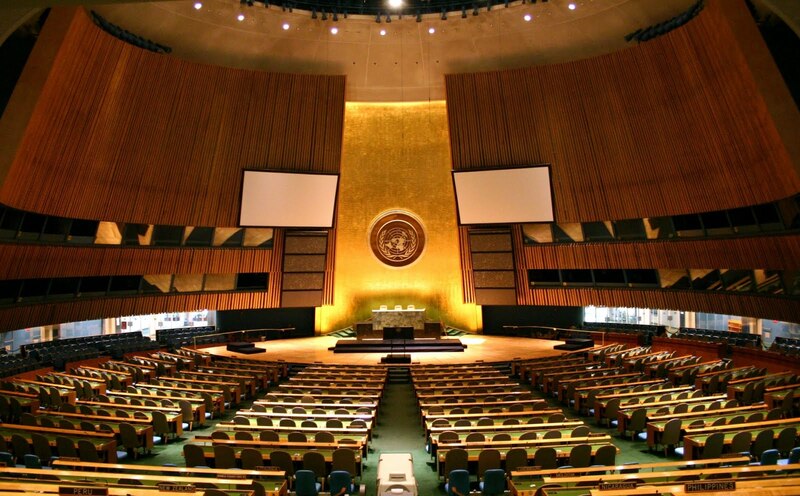 What this means is that the UN General Assembly, in light of the inability of permanent members to come to an agreement (due to Russia’s repeated use of its veto powers) on the Security Council, may circumvent the UNSC and substitute their own resolution with full powers of the UNSC as though it were a regular UNSC resolution. 337A has been invoked twice in the past; during the Suez crisis and during a push for sanctions on Apartheid South Africa. If the international community wishes to make meaningful, multilateral progress in Syria, forcing a vote through the General Assembly may be the best bet.